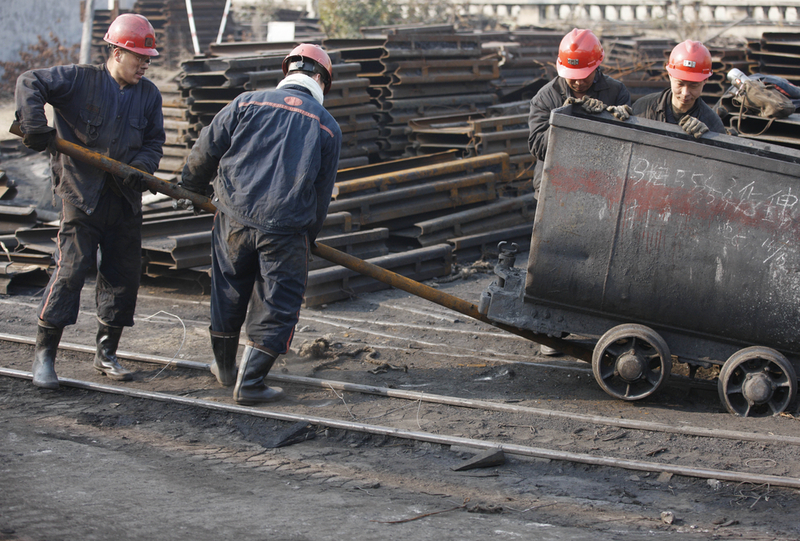 BEIJING, Sept 25 (Reuters) – China’s steel raw materials extended recent losses on Monday, with coking coal down more than 5 percent and coke hitting its lowest in almost two months, as some factories reopened after recent environmental inspections, adding to glut worries, traders said. Iron ore prices were also lower as the market continued to worry about waning restocking demand at mills. The most-active coking coal futures on the Dalian Commodity Exchange tumbled as much as 6.5 percent in early trade on Monday to 1,137 yuan ($172.06) a tonne, the lowest since July 17. They closed 3.4 percent lower at 1,175 yuan a tonne. Coke futures were down 2.4 percent at 2,012.5 yuan a tonne, after hitting their weakest since July 31 at 1,956 yuan. “Some coke factories have resumed operations after recent environmental inspections. Inventories among traders and steel mills are pilling up,” said analysts at Orient Futures in a note. Stockpiles of coking coal at steel mills had increased 100,000 tonnes to 15.96 million tonnes by Friday, according to data from Mysteel consultancy. “Expectations of production curtailment at steel mills during the winter season also put pressure on restocking demand,” said a Shandong-based trader. With national holidays and China’s party congress meeting approaching in October, mills have started to curb production to reduce emission. Some also closed to deal with environmental inspections in August and earlier this month. The utilization rate at mills fell to 75 percent by Friday from 75.83 percent in the previous week, according to data from Mysteel. The most-traded construction steel futures on the Shanghai Futures Exchange eked out gains after a drop in the morning. They closed up 0.1 percent at 3,603 yuan a tonne. Spot rebar prices dropped 1.3 percent to 4254.04 yuan a tonne on Friday, data from Mysteel website showed. Iron ore for January delivery on the Dalian Exchange slid 0.2 percent to 468 yuan a tonne. S&P’s downgrade last week of China’s credit rating continued to drag on the market, traders said. (Reporting by Muyu Xu and Josephine Mason; Editing by Joseph Radford).